The Nunavut hamlet is coming up with alternatives to children trick or treating door-to-door during the height of polar bear season. Arviat, Nunavut, is moving Halloween indoors this year because of the danger to trick-or-treating children from polar bears. The bears have been coming into the community more in recent years, especially in the fall during freeze-up. That's why the hamlet met with the public this week to discuss alternatives to trick or treating door-to-door. It was decided to hold Halloween celebrations at the community hall. Steve England, the Hamlet's SAO, says, a majority of Arviat residents support the idea. "Picture 1,200 kids going door to door in Arviat in the middle of polar bear season," he said. "It's a pretty obvious conclusion of what tragedies could come out of that. We're just trying to safeguard the younger population by offering an alternative." The community hall will feature a haunted house and face painting. Prizes and candy will be given out. The hall has limited space, so the hamlet is considering different times for different age groups. They're also arranging to have a shuttle bus take children to the hall. England says if this year's indoor Halloween festivities are a success, it may become an annual tradition. 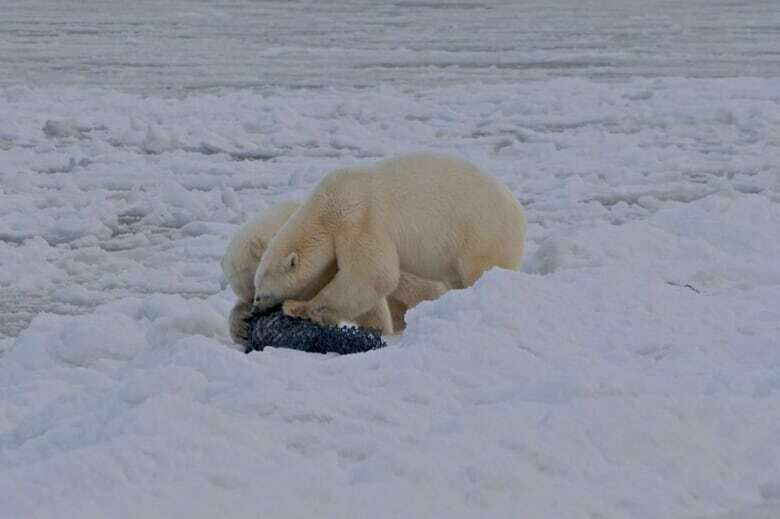 Arviat is on Hudson Bay about 250 kilometres north of Churchill, Man., which is also visited by polar bears in the late fall.